Heritage At Roswell - Fabulous Finished Terrace Level With Bedroom/Office, Full Bath, Gym, Billiard Room & Lots Of Storage. MLS#6512651. Realty One Group Edge. Liberty Lofts - Priced Way Under Appraised Value For A Fast Sale, Instant Equity! MLS#6512496. Virtual Properties Realty.Com. Hembree Creek - 20 Lb. Pet Limit In This Complex. MLS#6513038. Crye-Leike, Realtors. 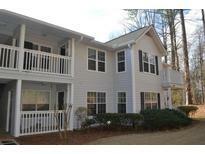 Wilson Glen - Set On 2 Wooded Acres, This Is A Rare Find In Roswell. MLS#8534502. Keller Williams Rlty.North Atl. Land O Lakes - Huge Backyard,In A An Established Neighborhood And Close To Shopping. Welcome Home! MLS#8534642. Keller Williams Realty. Orchards Of Roswell - The Refrigerator/Washer/Dryer Are Included! Hurry These Don'T Last Long! MLS#6512123. Keller Williams Realty Atl North. Two Car Tandem Garage Can Be Built Out For Additional Living Space. Unbelievable Amenities, Location, And Schools. MLS#6510660. Dorsey Alston Realtors. Walking Distance To Restaurants, Library, Parks And Shopping Areas! Fha Approved!! ! MLS#6511429. Maximum One Greater Atlanta Realtors. Liberty Square - Up To $2500 Closing Costs Paid For Qualified Buyer With Preferred Lender. MLS#8532509. Solid Source Realty Inc..
Close To Shopping And Restaurants. New Refrigerator Stays. MLS#6509360. Keller Williams North Atlanta. Westbrook At Crossville Villge - 2 Car Garage W Storage_So Much More! MLS#6509303. Keller Williams Rlty-Ptree Rd. Orchards Of Roswell - Kitchen And Baths Just Updated With Granite!! ! MLS#6508396. Atlanta Fine Homes Sothebys Intl..
Courtyard Has Brick Fencing & Access To Guest Parking! MLS#6508132. Atlanta Communities. Parkside - Owner/Agents 2nd Home *Seller Pays 1 Year Hoa Fees At Closing MLS#6509169. Palmerhouse Properties. Enjoy The Convenience Of A Walking Trail Within The Community And Experience The Close Proximity To Shopping And Restaurants. MLS#6508796. Compass. Hunters Cove - Seller Will Repair Driveway Before Closing! MLS#6503816. Therealestateexperts.Com. This Home Features Private Fenced Yard. MLS#6505254. Ea Brokerage, Llc.. This Home Features Private Fenced Yard. MLS#6504703. Eah Brokerage, Lp. Harris Commons - Convenient To Avalon, Shopping, Restaurants, Boutiques, And Ga Hwy400. MLS#6504437. Century 21 Results. Vickery Falls - Truly A Unique Building, In A Unique Setting For A Unique Time Of Your Life. MLS#6502253. Atlanta Fine Homes Sothebys International. 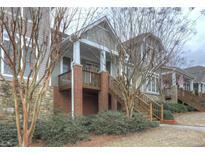 Heritage At Roswell - Great Investment~Rental Eligible After 1 Yr! MLS#6502804. Atlanta Fine Homes Sothebys Intl..
Martins Landing - Perfect For Investors, Builders Or Homeowners To Finish The Remodel To Their Liking. MLS#6129496. Keller Williams Realty Cityside. Creekside At Mansell - Low Fees, Prime Location, Milton High School! MLS#6127893. Solid Source Realty, Inc.. This One Comes With Nice Stainless Steal Appliances And Washer And Dryer Stay. MLS#6128501. Maximum One Realty Greater Atl..
Liberty Lofts - Monthly Hoa Fee Includes Trash, Water, Septic, Lawn, Pest Control, Outside Insurance/Maintenance, Pool, Tennis And Grounds. MLS#6127943. Palmerhouse Properties.